Matthias Russ (Milram) was the first rider to start and his time of 11 minutes and three seconds stood for five minutes was good enough for 104th place. 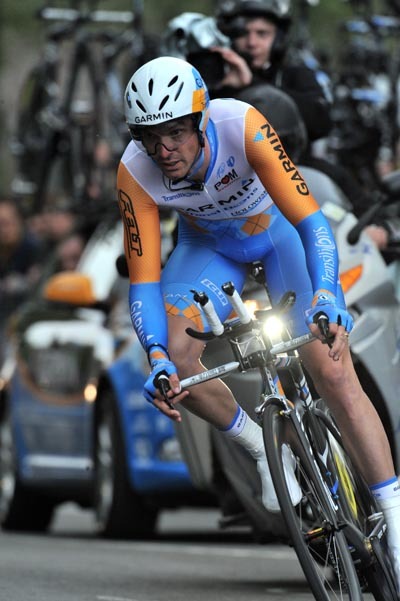 His time didn’t stand very long, just five minutes in fact, when Omega Pharma’s Sebastian Lang recorded a 10-48. Robbie McEwen had to stop twice during his ride because his rear wheel was rubbing on the frame. Lang’s time held firm for eight minutes when Andriy Grivko of Astana covered the 8.4-kilometre course in 10-31. Grivko’s time looked solid and it wasn’t beaten for almost an hour. World time trial silver medallist Gustav Erik Larsson of Saxo Bank, the 60th rider to start, recorded a 10-25. Larsson was on top of the leaderboard for an hour-and-a-half. During that time, the rain began to fall more persistently. One of those who rode in the rain was Marco Pinotti, the Italian time trial champion who rides for HTC-Columbia. His time was good enough for tenth in the end. And then came the moment that had a lot of people asking Brent who? Brent Bookwalter, the 25-year-old American from Athens, Georgia, crossed the line in 10-20. 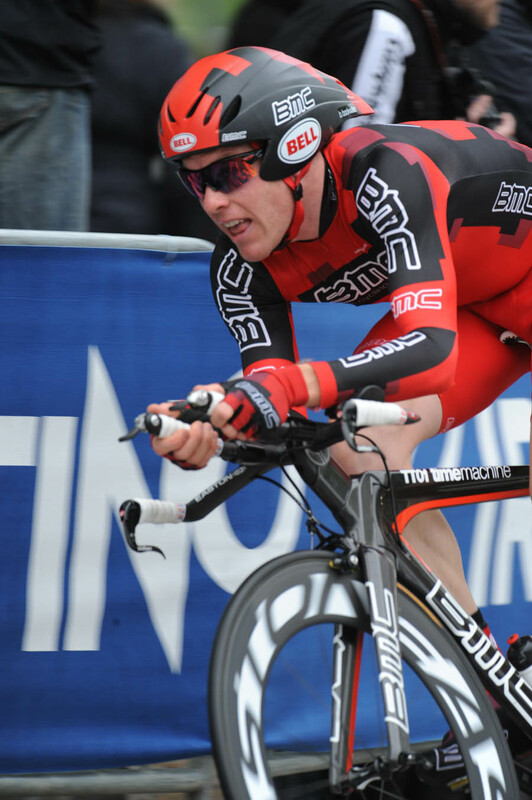 The BMC rider was the surprise package – his previous best time trial result was 15th in the Dauphiné Libéré last year. There was a surprise when David Millar came in slower than Bookwalter. Just behind the Garmin-Transitions man was Bradley Wiggins, in his national time trial champion’s skinsuit, on his Pinarello Graal. 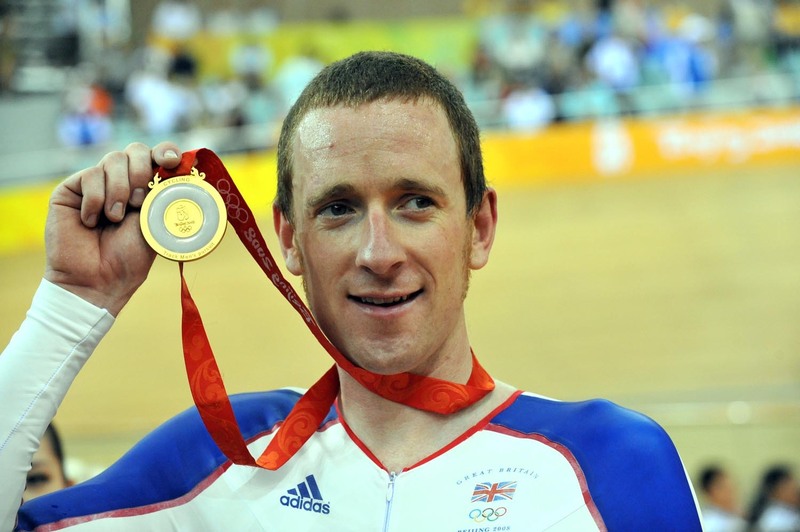 Wiggins was flying and was two seconds quicker than Bookwalter. The most nervous moment for Wiggins and Team Sky came when Cadel Evans pushed him close, finishing a fraction of a second slower than Bookwalter. 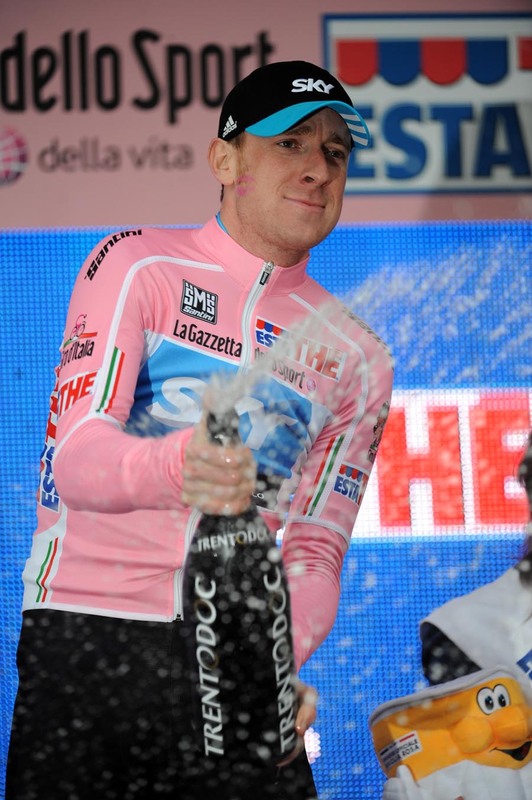 Wiggins sprays the Champagne. 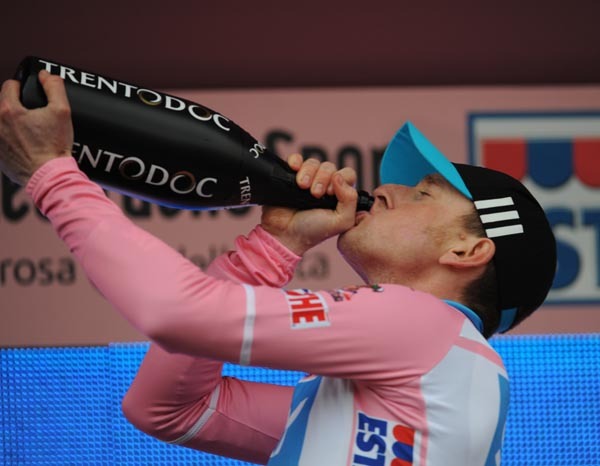 In the bottom right corner of the frame is an cuddly toy in the shape of a can of Esta The – the iced tea drink that sponsors the pink jersey.